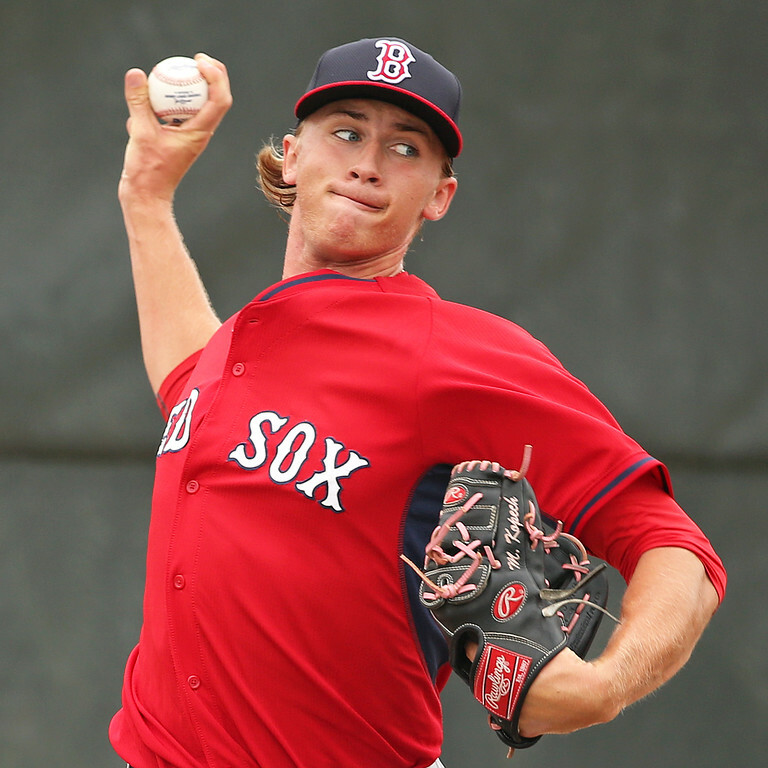 When able to take the field, Kopech has shown impressive ability. The 6-foot-3 righty can touch 100 mph with his fastball, and complements it with a slider and changeup that are works in progress. Prior to his suspension, he was able to throw 65 innings for the Greenville Drive, posting a 2.63 ERA, 1.23 WHIP, and 70 strikeouts to 27 walks. Kopech spoke about focusing on his changeup and fastball location during his suspension, but fans will have to wait to see that progress in regular season action. Details about the incident and the extent of the injury are not yet available. It is also unknown when he will be able to return to the field. Photo Credit: Michael Kopech by Kelly O'Connor.